A high-level empowered committee will decide on whether to invoke Section 7 of the RBI Act for providing relief to stressed power projects from insolvency proceedings, the government said on Wednesday. 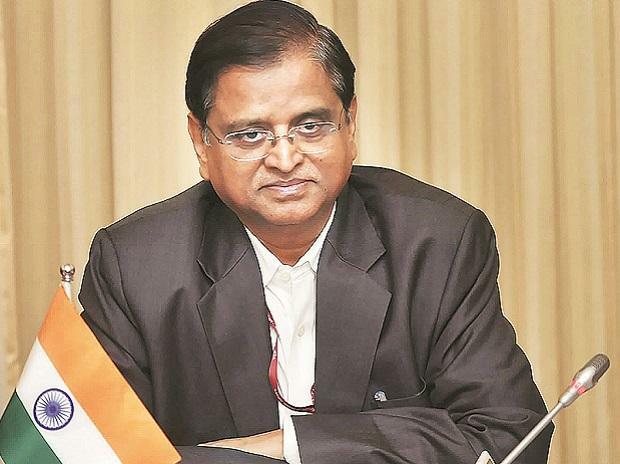 Economic Affairs Secretary S C Garg told reporters that there is a panel headed by the Cabinet Secretary which will take a call on whether to invoke Section 7 of the RBI Act or not. His comments came after a top finance ministry functionary ruled out invoking of exceptional powers to issue directions to RBI, but noted that the central bank should take a pragmatic view on resolving stressed assets in the power sector. Banks have exposure of around 1.74 trillion to stressed power assets that are on the brink of undergoing bankruptcy proceedings after the Allahabad High Court on Monday refused to give any interim-relief to private power companies from the RBI's February 12 circular which specified that if a resolution was not found in six months by August 27 these accounts should be sent to bankruptcy courts. The RBI has been firm on its stand to implement its February 12 circular. The court, however, asked the Centre to talk to the central bank to get some relief for the petitioners using the provisions of the RBI Act within 15 days. "The government is unlikely to issue directions to RBI under Section 7 of RBI Act. The section can be invoked only in exceptional circumstances and the power asset issue is too small to enforce Section 7 of RBI Act," the finance ministry functionary said. The section empowers the central government to give directions to the RBI, after consultation with the Governor of the central bank, as it may consider necessary in the public interest. Later in the day, Garg said, "We have a committee headed by the Cabinet Secretary to get into this issue. The committee will examine the entire subject." Speaking about the first meeting of the empowered committee to be held on August 31, Union Power Minister R K Singh said that the RBI has been invited to attend the meeting. The Allahabad High Court in its August 27 order suggested that the power ministry should invite a senior representative of the RBI as a member of the empowered committee. The top finance ministry functionary observed that the RBI should take a "pragmatic view" on the issue of stressed power assets. He said that as per the estimates of the finance ministry, "only 10 companies" will get impacted since the court has refused to grant relief to the stressed power companies and hence they would be covered by RBI's 180-day circular. "Of this, five can be revived and five will be restructured through Insolvency and Bankruptcy Code (IBC)," he added. In a bid to hasten the resolution of bad loans, RBI on February 12 abolished half a dozen loan restructuring schemes and instead provided for a strict 180-day timeline for banks to agree on a resolution plan in case of a default or else refer the account for bankruptcy. Independent power producers had challenged the RBI order which mandated the lenders to initiate process under IBC if resolution plan is not approved by August 27.